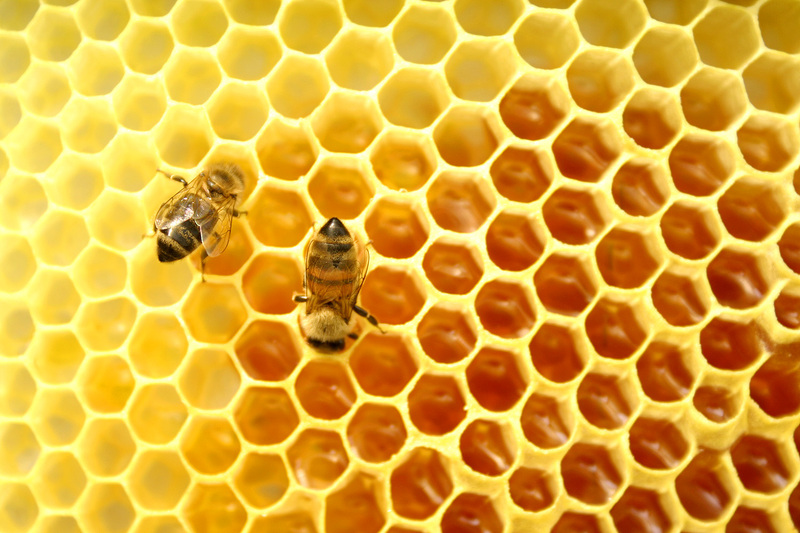 Many people are unaware of the numerous health benefits of honey, one of the oldest sweeteners on earth. Referred to as “nature’s energy booster,” honey is a great natural source of carbohydrates, which provide strength and energy to our bodies. In some instances, honey has even been found to improve athletic performance. Its natural sugars play an important role in preventing fatigue during exercise. 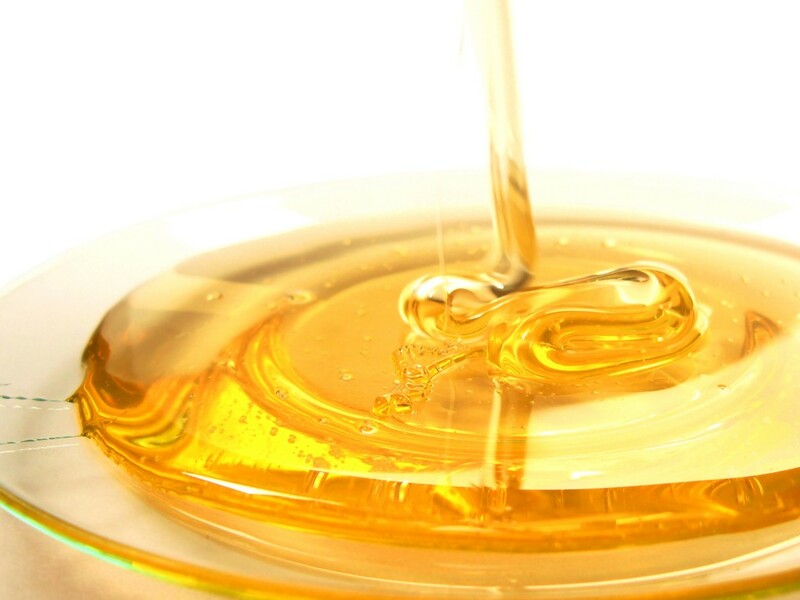 Next time before you workout, try a spoonful of honey to help you go that extra mile! This tasty substance is also great for boosting your immune system. The antioxidant and anti-bacterial properties have been found to improve digestive system health to fight illness. We’ve all experienced the common cold, and that scratchy feeling in your throat that just wont subside. Next time, try a mixture of fresh lemon juice and raw honey for a soothing relief that helps stop the tickle that stimulates coughing. With one serving of honey (1 tbsp./21 g) at only 64 calories, try adding this sweet ingredient to your everyday foods! Honey goes great on fresh grapefruit or drizzled on apple slices with cinnamon. Or try replacing your table sugar with honey to sweeten your coffee or tea. Take 3 (3) oz daily, drink very cold. What’s your favorite way to enjoy honey? When it comes to leading a healthy lifestyle, hydration is key. Water is an essential for many of the body’s functions including temperature regulation, digestion, blood formation, and even helps our organs to absorb nutrients better. As college students we live a pretty busy lifestyle, which is why it’s important to stay hydrated as the day progresses. For those involved with sports, be sure to replenish your body before and after being active. It’s recommended that you get at least 8 glasses of water each day, however, with a busy schedule this may not always seem plausible. You can actually take-in the fluids your body needs from the foods you eat. Be sure to include a lot of fresh fruit in your diet to increase your fluid intake. For those who are just plain bored by the taste of water, there is good news! 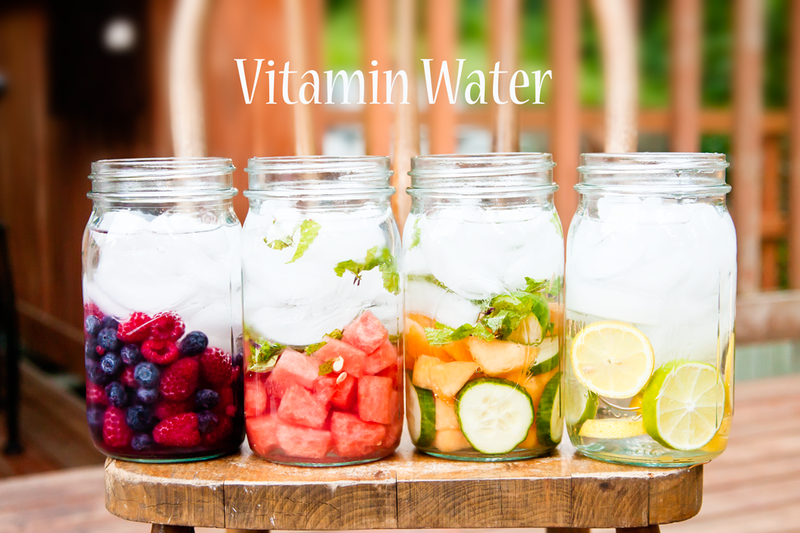 Instead of sugary sodas and sports drinks, try making your own vitamin water. Made with fresh fruit and herbs, this great tasting beverage works to hydrate your body and keep you going. Mix blackberries, cherries and pomegranate and add to mason jar. Stir in remaining ingredients. Refrigerate 4-6 hours. Stop by our Make Your Own Vitamin Water table today from 2-5pm at the HUB! 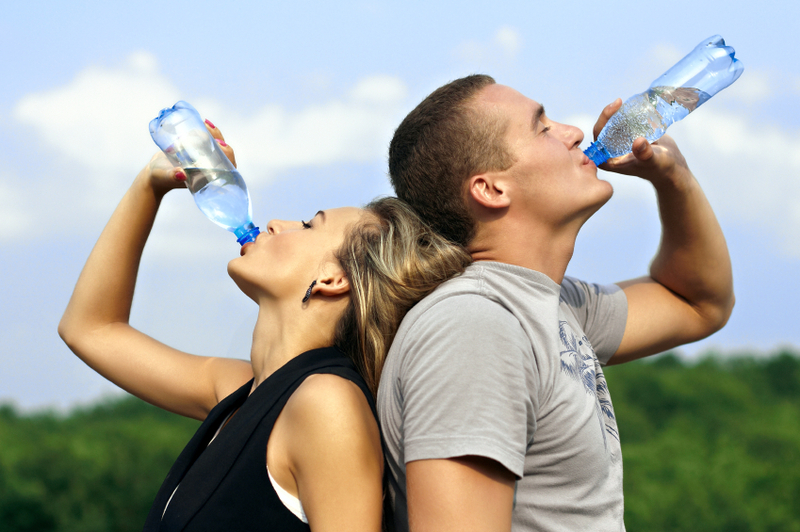 Posted in Uncategorized | Comments Off on Stay Hydrated This Summer!